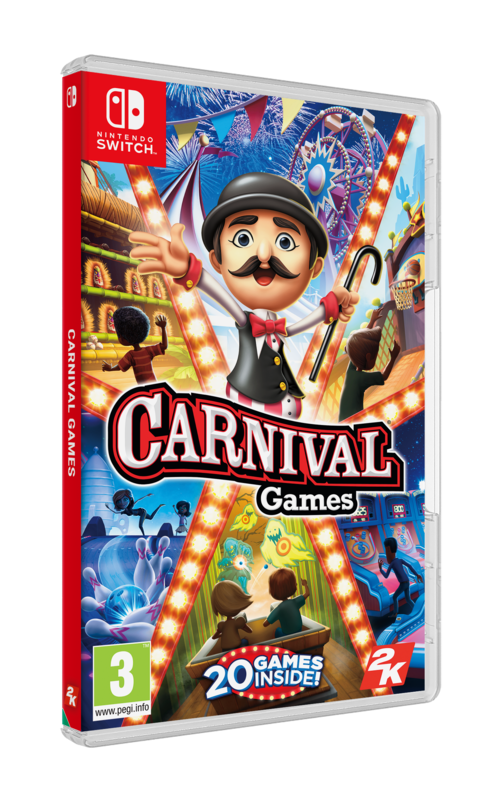 Carnival Games brings the party back for the entire family – now for the first time on Nintendo Switch! With both fan-favorite and brand-new mini-games all in one package, Carnival Games offers fun for everyone and can be played alone or with up to three others. We have one copy of Carnival Games to give away to one lucky Mummy Fever reader, in time for Christmas! Just enter the easy widget below. Giveaway will run until December 20th. Winner’s details will be passed to 2K.com, who are responsible for sending out the prize. My Friend which would love it! perfect for my son this xmas! My son who would love it! My other half loves his Nintendo switch! I might get a go too with this prize..! My daughter would so love this!! My nephew would love this so much! If i was to win i would give this game to my niece and nephew to enjoy playing together. My son Samuel would love this. My nephew. He loves his gaming, but we do ration him. This would be perfect to play with my 3 boys on Christmas day. I will be keeping my fingers and toes crossed thanks for the chance. The whole family would love this. I’d give it to my 3 sons. I would give it to my nephew. Thanks for the competition. My granson would love this to start his game collection!